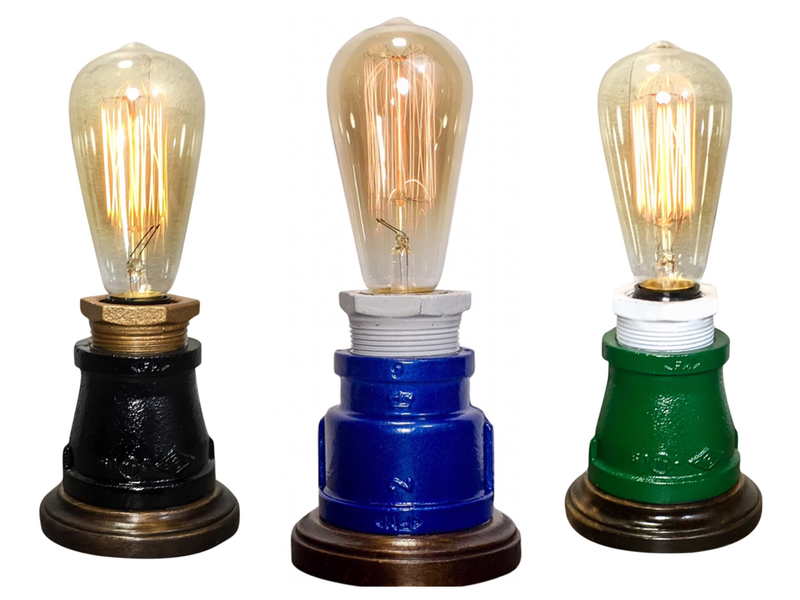 New from Electric Goods Company! 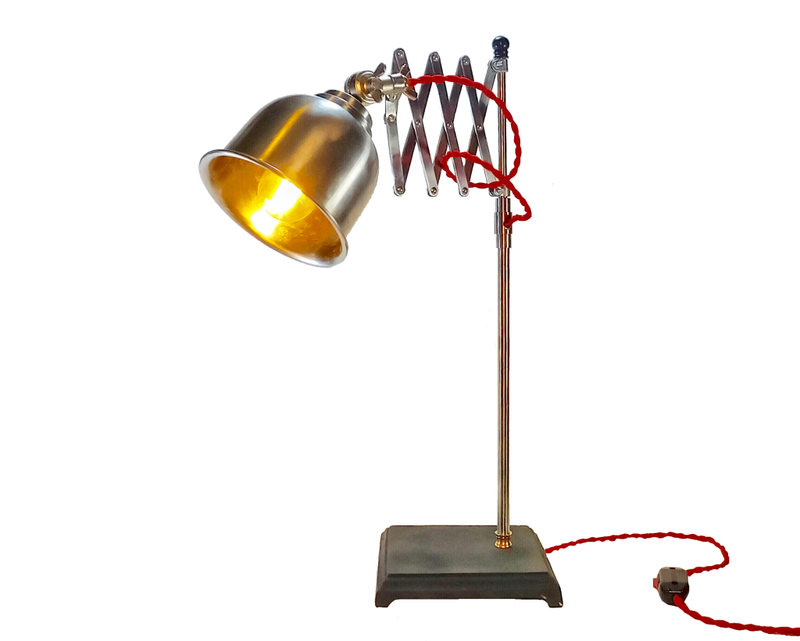 Faries-style Pharmacy Desk Lamps. 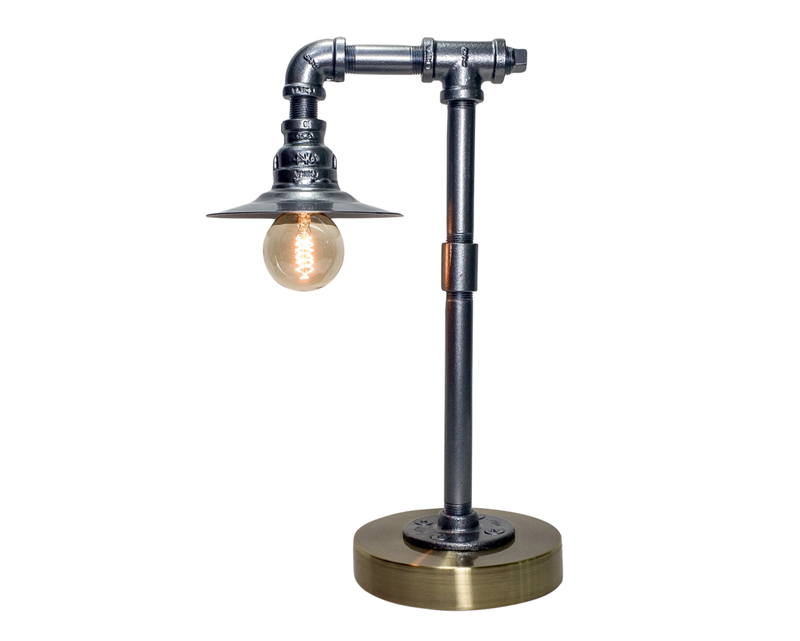 Adjustable task lamps in a polished nickel, copper, and brass finishes. With a Mid Century Modern design and unique wooden shades, these stunning pieces add a functional style to your workspace. 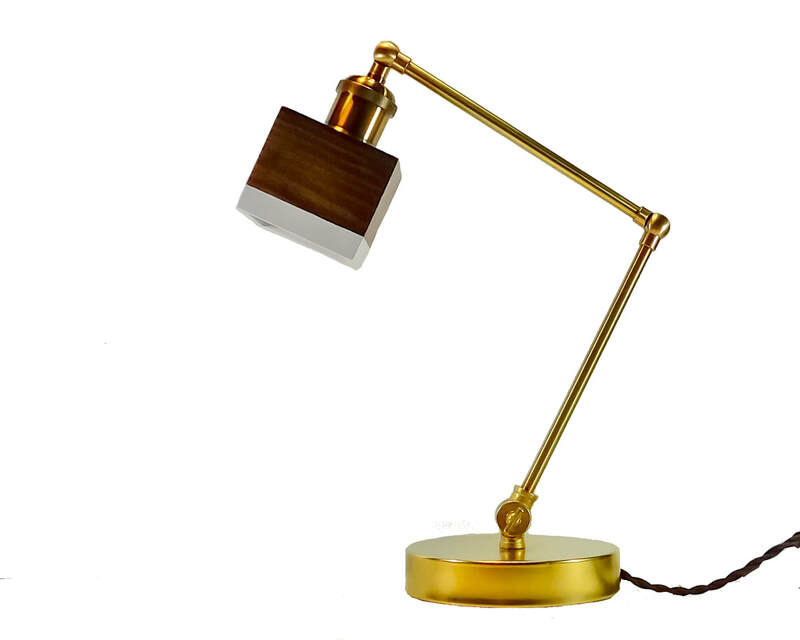 Each lamp has adjustable joints at the base and/or elbow, & the industrial sockets are mounted to a friction swivel, to allow you to focus light exactly where you want it. 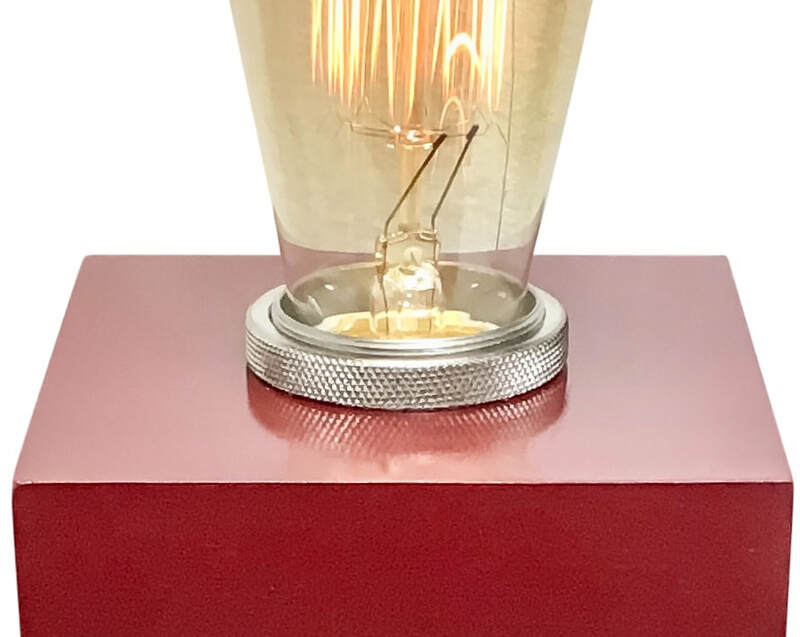 The clean, simple lines of the Box Edison Lamp series evoke a minimalist design, while the reproduction Edison light bulbs give it a classic warmth. 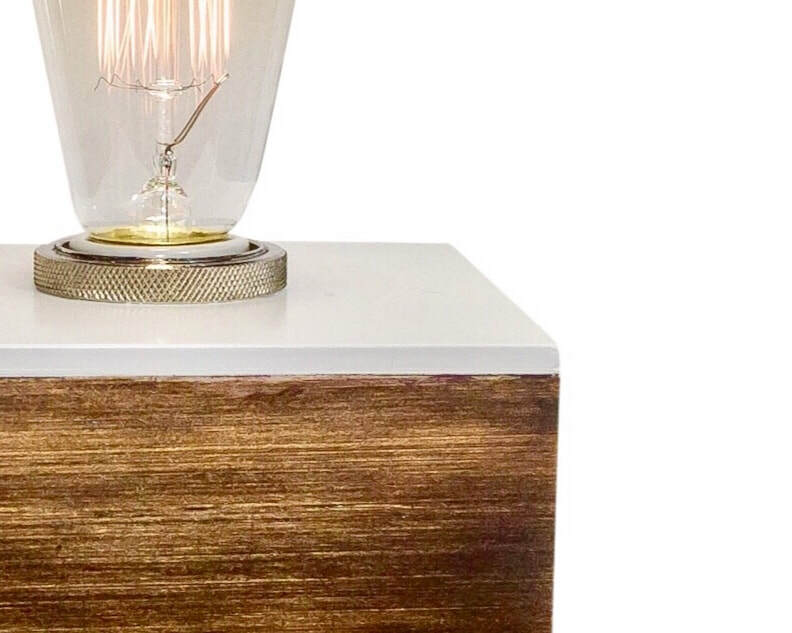 Walnut and Kona finishes are used to bring out a rich wood grain. High gloss lacquer gives a contrast and permanency to the surfaces. 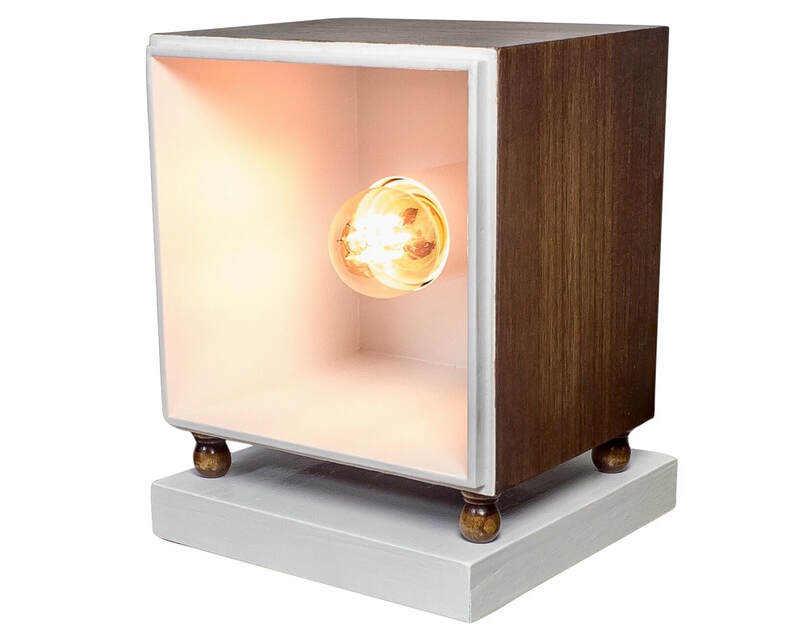 The Box Edison is built using polished steel and porcelain sockets & fabric covered cords. Some models are operated by touch sensors. 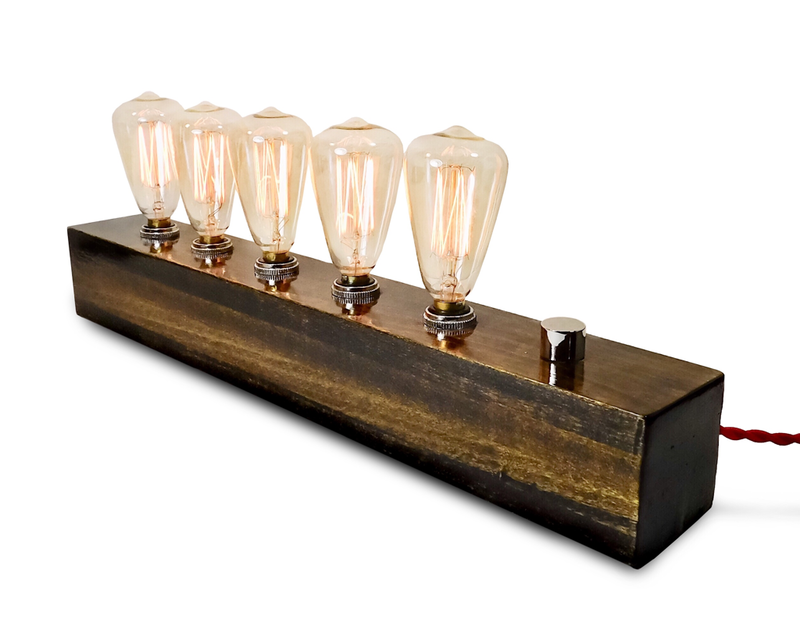 Modern, handcrafted accent lamps, either horizontal with multiple amber tinted Edison bulbs, or vertical with textured fabric shades. 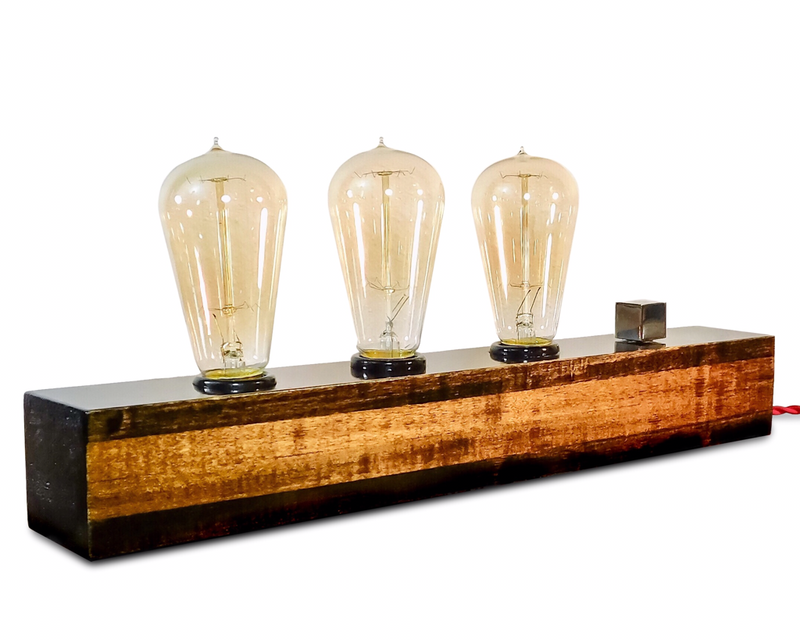 Available in Walnut, Cherry, and Mahogany finishes, with a rich and durable oil based topcoat. 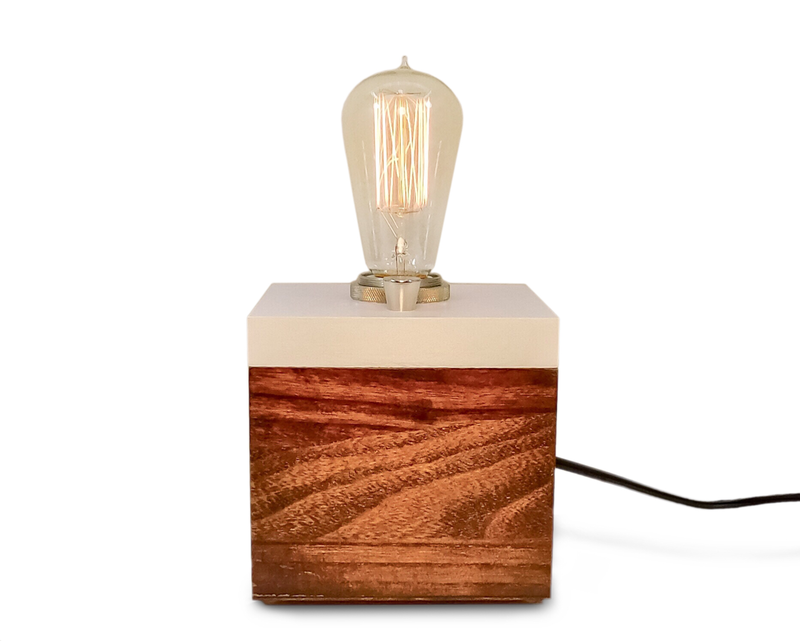 Horizontal block lamps come with either touch switches or full range dimmers, which are operated by Mid-Century style brass or nickel knobs. 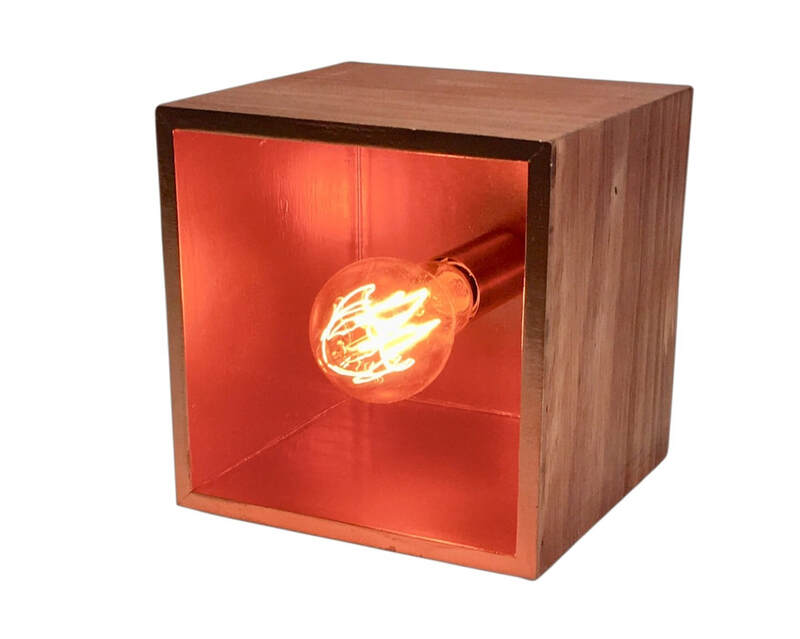 This lamp, raw yet refined, is the perfect size for your bookshelf or dining nook at just under 14 inches tall. 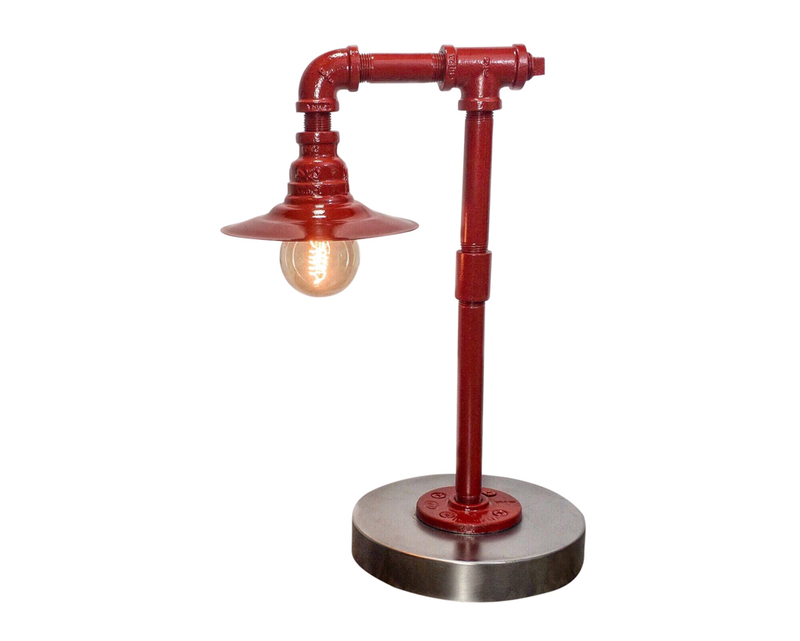 Available in durable, glossy finishes of classic red, copper, bright white, polished steel, and a deep, rich black. When lit, the glowing strands of the mini globe bulb's filament look like illuminated strands of DNA. 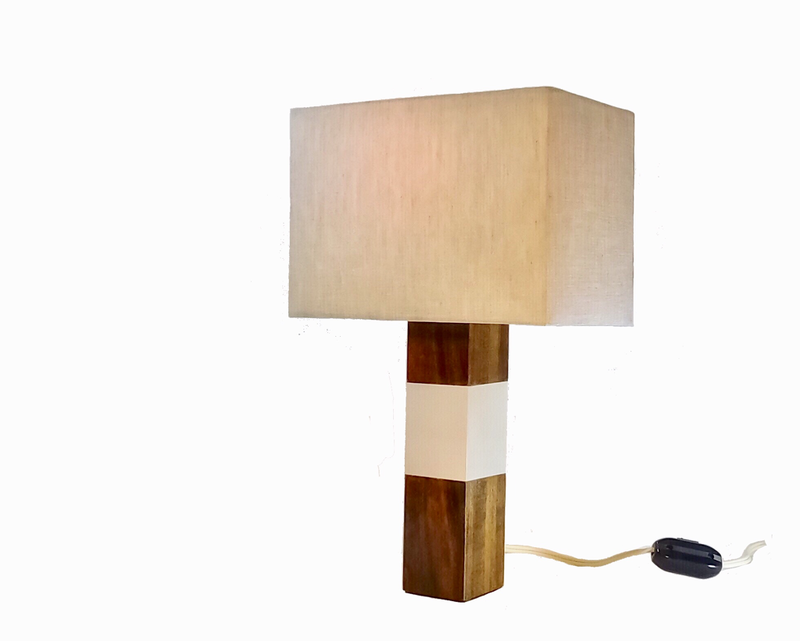 It's purposeful, elegant design pushes the light outward, allowing for unique directional accent lighting. Mid Century Modern. Clean. And entirely unique. 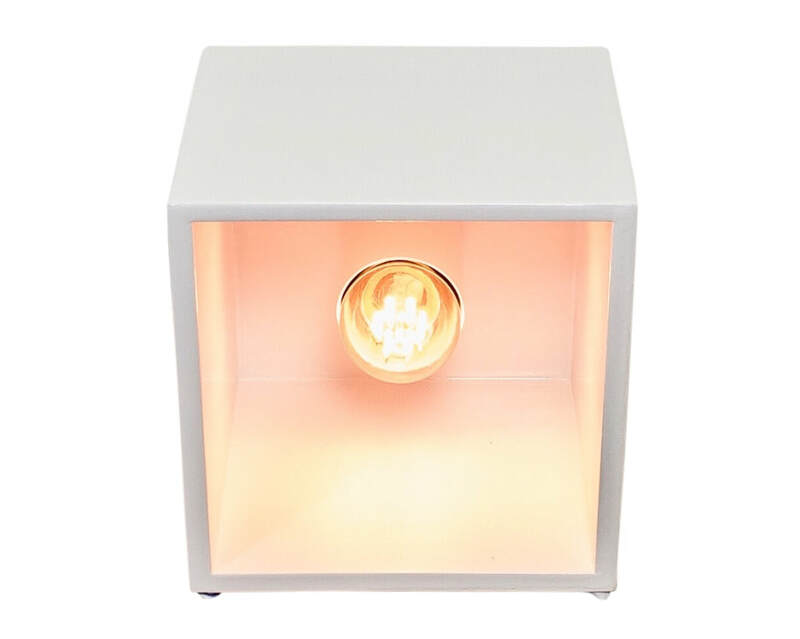 Lit with 3W recessed LED globes made with amber colored glass.